Acqua Hair Salon host's the BLO event annually since 2015. Geared to showcase the depth of the community's talents, creativity, and never-ending pursuit to push boundaries. Team Acqua is always supporting local groups and charitable organizations. 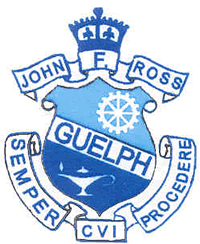 We have also been involved with Women in Crisis, Big Brothers Big Sisters, and many University of Guelph based fundraisers. We continually strive to set an example in the community with hard work and dedication to bettering our environment and contributing to those less fortunate.